One of the proposals in the pending patent reform legislation is a change from first to invent to a first to file system. I think it is safe to say that the United States is the only country that has a first to invent system, whereby an inventor who claims they are the first to invent but second to file a patent application could prevail and receive a patent over the first to file a patent application. This has historically been viewed as a benefit to independent inventors and small businesses, and in theory it is. The trouble is that an interference proceeding, the proceeding that would take place to determine who is entitled to receive the patent between the alleged first to invent and the first to file, costs over $650,000 (see An Interference: What, When and How Much Does It Cost? – page 9 at bottom). With that cost not many independent inventors or small businesses are going to be able to foot that bill. Nevertheless, I thought it might be good to take a look at this thing called an interference proceeding, which if patent reform is successful would become a relic of US patent law. By understanding interferences inventors and small businesses can decide for themselves whether they think they are missing out on anything should patent reform do away with interference proceedings. Occasionally two or more applications are filed by different inventors claiming substantially the same patentable invention. The patent can only be granted to one of them, and a proceeding known as an “interference” is instituted by the Office to determine who is the first inventor and entitled to the patent. Less than one percent of the applications filed become involved in an interference proceeding, and in fiscal year 2007 only 7 interference proceedings resulted in the patent going to the second to file, who was determined to be the first inventor. Whenever an application is made for a patent which, in the opinion of the Commissioner, would interfere with any pending application, or with any unexpired patent, an interference may be declared and the Commissioner shall give notice of such declaration to the applicants, or applicant and patentee, as the case may be. The Board of Patent Appeals and Interferences shall determine questions of priority of the inventions and may determine questions of patentability. Any final decision, if adverse to the claim of an applicant, shall constitute the final refusal by the Patent and Trademark Office of the claims involved, and the Commissioner may issue a patent to the applicant who is adjudged the prior inventor. A final judgment adverse to a patentee from which no appeal or other review has been or can be taken or had shall constitute cancellation of the claims involved in the patent, and notice of such cancellation shall be endorsed on copies of the patent distributed after such cancellation by the Patent and Trademark Office. It is important to note that the Patent and Trademark Office does not have jurisdiction to conduct interferences which involve only patents, i.e., which do not involve at least one pending application. Jurisdiction over those proceedings is conferred to the Federal courts by 35 U.S.C. § 291. Where two or more applications are found to be claiming the same patentable invention, they may be put in interference, dependent on the status of the respective applications and the difference between their filing dates. The Patent Office will not normally declare an interference between pending applications if there is a difference of more than 3 months in the effective filing dates of the oldest and the next oldest application or in the case of inventions of a simple character. Before proposing an interference, the examiner must be certain that each of the applications in question do in fact contain a claim to the same patentable invention and that each of those claims is clearly readable upon the disclosure of that party and allowable in its application. If the applications each contain at least one claim drawn to the same patentable invention, the examiner proceeds to propose the interference. In the event the examiner does not declare an interference, one may be provoked. First, an interference may be provoked between pending applications by request from an applicant who has become aware of another application which may be claiming the same invention. Second, an interference between a pending application and a patent is normally provoked by the applicant. An applicant seeking to provoke an interference with a patent is required to submit evidence which demonstrates that the applicant is prima facie entitled to a judgment relative to the patentee. Evidence must be submitted when the effective filing date of the application is more than 3 months after the effective filing date of the patent. The evidence may relate to patentability and need not be restricted to priority, but if the evidence shows that the claims of the application are not patentable, the claims in the application will be rejected. The applicant can file a request for reexamination of the patent, if applicable. Once the interference has begun, the terms conception of the invention and reduction to practice are encountered in connection with priority questions. Conception of the invention consists of the complete performance of the mental part of the inventive activity. The conception of an invention is the formation in the mind of the inventor of a definite and permanent idea of the complete and operative invention as it is thereafter to be applied in practice. The date of this conception is the date when the inventor’s idea has crystallized in all of its essential attributes and becomes so clearly defined in the mind of the inventor as to be capable of being converted to reality and reduced to practice by the inventor or by one skilled in the art. For there to be conception of invention the inventors definite and permanent idea must include every feature or limitation of the claimed invention. Conception must be proved by corroborating evidence which shows that the inventor disclosed to others his complete thought expressed in such clear terms as to enable those skilled in the art to make the invention. However, there is no final single formula that must be followed in proving corroboration. Rather, the sufficiency of corroborative evidence is determined by the rule of reason. Accordingly, it is necessary to make a reasonable analysis of all of the pertinent evidence to determine whether the inventor’s testimony is credible. It is also important too keep in mind the purpose for requiring corroborative evidence, which is to prevent fraud, by providing independent confirmation of the inventor’s testimony. The priority question presented by an interference proceeding is determined by the Board of Patent Appeals and Interferences, which is a board of three administrative patent judges. The Board will decide who is entitled to the patent based on the evidence submitted. 35 USC § 135(a) also grants the Board discretion to determine questions of patentability during the proceeding. After resolution by the Board the losing party may appeal to the Court of Appeals for the Federal Circuit or file a civil action against the winning party in the appropriate United States district court. Each party to an interference proceeding must submit evidence of facts proving when the invention was made. In view of the necessity of proving the various facts and circumstances concerning the making of the invention during an interference, inventors must be able to produce evidence to demonstrate when they conceived of the invention and when it was reduced to practice. If no evidence is submitted a party is restricted to the date of filing the application as his/her earliest date of invention. In the case of a machine, reduction to practice requires the actual building of the machine. In the case of an article or composition reduction to practice requires the actual making of the article or composition. In the case of a process reduction to practice requires the actual carrying out of the steps of the process. Notwithstanding, the filing of a regular patent application completely disclosing the invention is treated as equivalent to reduction to practice; this is frequently referred to as constructive reduction to practice. Constructive reduction to practice is a term of art that refers to the preparation of a patent application. If a the description of the invention in a patent application is sufficiently definite enough to allow one skilled in the art to make the invention the invention will be considered to be constructively reduced to practice, even if no working model or prototype exists. In order to win an interference proceeding it may not be enough to merely produce evidence of date of conception and date of reduction to practice. It may also be necessary for the inventor to demonstrate that he or she was diligent, which is a term of art. Diligence is only an issue with respect to invention when the first to conceive is the second to reduce to practice. In this case, in order for the first to conceive (i.e., the first inventor) to have priority it is necessary to show diligence prior to the conception of the inventor who is second to conceive and first to reduce to practice. Public policy favors the early disclosure of inventions. This underlies the requirement for reasonable diligence in reducing an invention to practice, not unlike the requirement that, to avoid a holding of suppression or concealment, there be no unreasonable delay in filing an application once there has been a reduction to practice. As already pointed out corroborating evidence is needed. The testimony of an inventor is not enough. It is not enough with respect to any issue. There are cases where independent inventors tried to demonstrate diligence and could only demonstrate that they took time off from work. That demonstrates time was taken off from work, not that the invention was worked on while not working your day job. This lack of corroborating evidence can be associated both with conception and diligence. With respect to conception it occurs because there is no inventors notebook that has been signed, dated and witnessed to demonstrate when key aspects crystallized for the inventor. In terms of diligence, any break is too much usually, even a break to take a vacation can sink you. So many inventors fail to have the specific information necessary to prevail. Like any time there is proposed change, it will lead to uncertainty. I personally feel there is no benefit to first to invent for small businesses and independent inventors. I think we should focus on the language of the proposed 35 USC 102 and make sure it continues to provide a grace period that is meaningful. I also would LOVE to see provisional patent applications change to be pending for 24 months, which is something that USPTO Director David Kappos favors. That will hopefully be added to the bill by way of amendment. Focusing on these and other issues that will really matter to independent inventors and small businesses is the best way to make sure your voices are heard, considered and any reform takes into account what is best for the inventor community. If two inventors invent the same invention independently at pretty much the same time, doesn’t this raise issues with the non-obvious or novel parts of a patent claim? I could understand if there is some significant time difference, but in this case there is not any. I understand that first to file would eliminate any uncertainty as to who receives the patent, but in terms of promoting innovation, is granting an exclusive patent the ideal solution in this type of situation? That low success rate has always been typical*, and in my experience your cost estimate for a fully litigated interferene these days is low. Furthermore, some of even those few second to file wins are due to 112 or other defects in the first to file’s application or patent, not to extrinsic evidence of prior invention. * See “First to Invent” Versus “First to File” Is it Really “Fairer”, or Cost Effective? Some Myths and Realities of Interference Practice,” 26 pages, AIPLA Selected Legal Papers, Vol. IV, No. 1, July 1986. Myth is more powerful than actuality. There is no way to know for sure how many inventors take extra time to further develop their idea rather than racing to the PTO on first blush thanks to the myth that USA is a first to invent country. The attitude would simply be different if we were a first to file country. Hasn’t short term, rush rush mentality (like that of Wall St.) done enough damage? Morgan was first to post by a whole 15 minutes. By far the worst delayed patent application filings I have ever seen were not by small inventors, they were in large U.S. [not foreign] corporations havng backlogs of unprocessed invention disclosures of as much as three years on concepts not going into actual products. Changing the pendency of provisional applications to 24 months is a good idea, and it actually goes hand in hand with first to file. In a first to invent system, changing the provisional pendency to 24 months would be problematic because of the problem of “submarine interferences.” If a first to invent has 24 months to convert his application and then his utility application is pending 3+ more years before it is examined, that is such a long time that in the meantime, a first filer but second to invent could have innocently gotten his patent, licensed it, and collected revenues for several years. Then he is hit with a bombshell about possibly losing his patent to another party. Real bummer. The uncertainty of first to invent is one of its biggest detriments. In addition, when reviewing a file history and seeing a 1.131 affidavit swearing behind another’s reference, it is unclear to the public of the validity of that instrument and thus the patent validity is uncertain (the only way to find out is expensive and long litigation). I have also been involved in situations where innocent inventors have been screwed by unscrupulous second to file derivers. 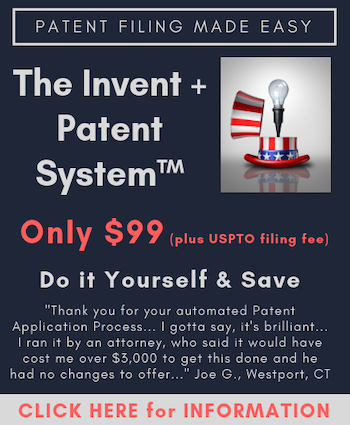 As for the “race to the patent office”, with the provisional filing fee so low and the procedure to e-file now so easy, inventors can simply keep supplementing their work by filing additional provisionals until they are ready for an attorney to prepare the full document (of course we all still know there are pitfalls with this approach). Or, an attorney can file a thoroughly written provisional and then the inventor can continuously supplement this by filing additional provisionals with new material whenever he creates it, until the invention process is fully completed upon which the attorney can then file a full blown utility. It’s funny that some parties pay $650,000 for an interference that could have likely been avoided if the inventors promptly filed provisional applications on their new work. For an extensive detailed study of the other [surprisingly infrequent successful] uses of “first to invent” for Rule 131 declarations, see the three most recent “Patently-O” blogs and the cited research article on which they are based. The total cost for an interference seem inexplicably high. What are the specific cost components driving these numbers? What are/would the costs be were there no question of first inventor; i.e. one or both parties elect(ed) to rely on their respective filing dates instead of arguing over who was first? Does it cost $500,000+ to settle the first to invent date . . . (only) when both parties argue for dates prior to the filing dates? With all due respect to you and to Paul Morgan’s years of experience in interferences, these rare (and admittedly expensive) applicants’ contests are a “red herring.” It is the gutting of the grace period that is at stake. The harmful effects of the weakened grace period in S. 515 and redefining the meaning of prior art would not only affect the 70 interference cases per year or the several thousand applications per year with Rule 131 affidavits. It will affect every applicant and will harm small businesses and startups because of the necessary adaptive behavior, as I explain in detail at http://bit.ly/Grace-Period-Post . In your prior post, “Patent Reform Should Preserve a Real 1 Year Grace Period” you correctly spoke to that issue and distinguished it from the priority rules required for resolving 102(g) contests. The problem with S. 515 is that it does not only change Section 102(g) – it changes all of Section 102. You should be expanding your posts on the need to preserve the real grace period. By supporting the first-inventor-to-file provisions and focusing on interferences rather than on the grace period, you undermine your own position and contribute to the obfuscation of those pushing for the broadly sweeping and damaging revisions of Section 102. Re the interference cost issue, a very short and incomplete answer is that interferences are a very specialized form of litigation, usually handled [if one plans to win] by specialist attorneys. This litigation is not at all like any normal PTO prosecution. It has its own rules, its own complex and lengthly paperwork and attorney requirements, and relatively limited time extension opportunities, all very strictly enforced, with sanctions power, directly by Board trial team APJ’s acting as judges, not ordinary examiners. Any issue of patentability or disputed interference in fact can be raised first by motions, and that normally requires a detailed response, both with supporting evidence. Whether one party will rely solely on its claimed filing date, or claim its own earlier alleged invention date, and/or mount a patentability attack, is usually not known in advance. I have never been involved with an interference, but it is my understanding that there are a lot of motions that need to be prepared and filed, and they are fact intense. I will defer to others, and hope EG weighs in here. I know he has had some experience with interferences, and it is my understanding that his father, a long time patent attorney, handled quite a few. Interferences only come up when there is a lot at stake, and when the stakes are high companies spend a lot to win. It is my understanding that the way you cut costs in an interference is to raise fewer issues, which makes it less likely you win. The key seems to be that conception is rarely (if ever in the real world) a singular event. So you might be able to win on some points and lose on others. By “some experience” two interferences which didn’t get beyond the motion phase and quite some time ago. Dad figures he did 400 interferences in his time, one of which I which I saw him argue before the CCPA (Sheffner v. Gallo). All I can tell you is that the motion period is probably the most critical part to frame you case to win (or to lose). As Dad would say, if you can have the best evidience in the world but if it doesn’t support you for the Count(s), you’ve got to do something in the motion period to change that. Dad would plan out his motion period like a decision tree with many contigent motions based on how that tree might play out.. Dad would also acknowledge, as Paul Morgan did, that the interference rules are something unto themselves and determine priority by a very archaic, artificial and extremely expensive process. Thanks for the info and insight, guys. FYI; I actually also have a personal interest for asking, as I’ve placed claims from another, almost 2 yrs older app which falls w/in the scope of my app, in mine. Though I could reasonably “pick up” 2-3 months more than my actual pto-filed priority date, I doubt I’d need it, and–for the sake of an easier path to knocking out the other app–I’d likely just stand pat with what I have. Since the other party wouldn’t be able to prove a date prior to mine given the passage of so much time–and further especially in light of what I’ve been reading of just hard this is to do–the question of “who’s on first” should be settled. So didn’t any interference just become a whole lot simpler? I respectfully disagree. By acknowledging that intereferences are ridiculous to focus on, it is nonsensical to demand a first to invent system and pointing out that independent inventors simply do NOT benefit from a first to invent system I am not undermining my own position or contributing to any obsfucation. I know you understand the issues, so the only conclusion that I can draw is that you are trying to belittle my valid and 100% correct views because of an agenda you have. You know as well as I do that no independent inventor gains benefit from a first to invent system. There is no reason that we cannot have a first inventor to file system and keep a real 12 month grace period. That is what I have said all along. The fact that for months you were basing your opinions on a yet to be released patent reform bill means you were guessing what would be in it. Unlike our elected leaders I do read legislation and held off until I saw what was in the bill. During that time you continued to focus on first to invent as being mandatory and first to file was a disaster. The truth is that first to file is not a disaster, and you are wrong. By your demanding that we keep a first to invent system you and others who share your view continued to force a focus on interference proceedings. Now you are finally focusing on what matters, and if you are honest you will eventually admit that there is no benefit to first to invent for independent inventors. Pretending that interference proceedings are not really a big deal because there are not that many, is like saying head-on collisions are not really a big deal, because there are not that many. Head-on collisions ARE a big deal, and we spend a lot of TIME, EFFORT and MONEY to avoid them.